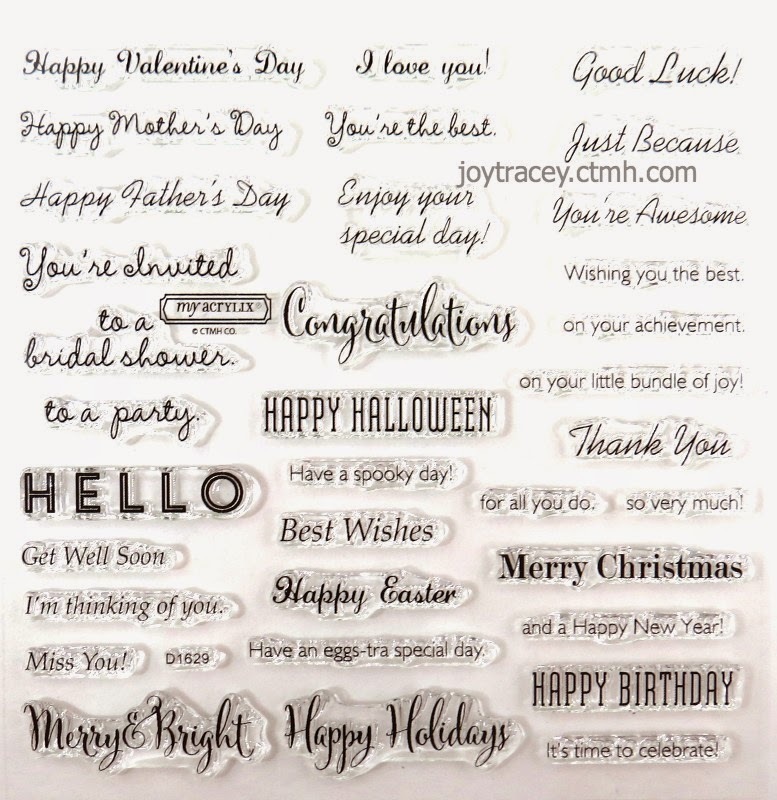 Obsessed with Scrapbooking: [Video]See the NEW Close to My Heart Artfully Sent Cricut Cartridge - Out of the Box! 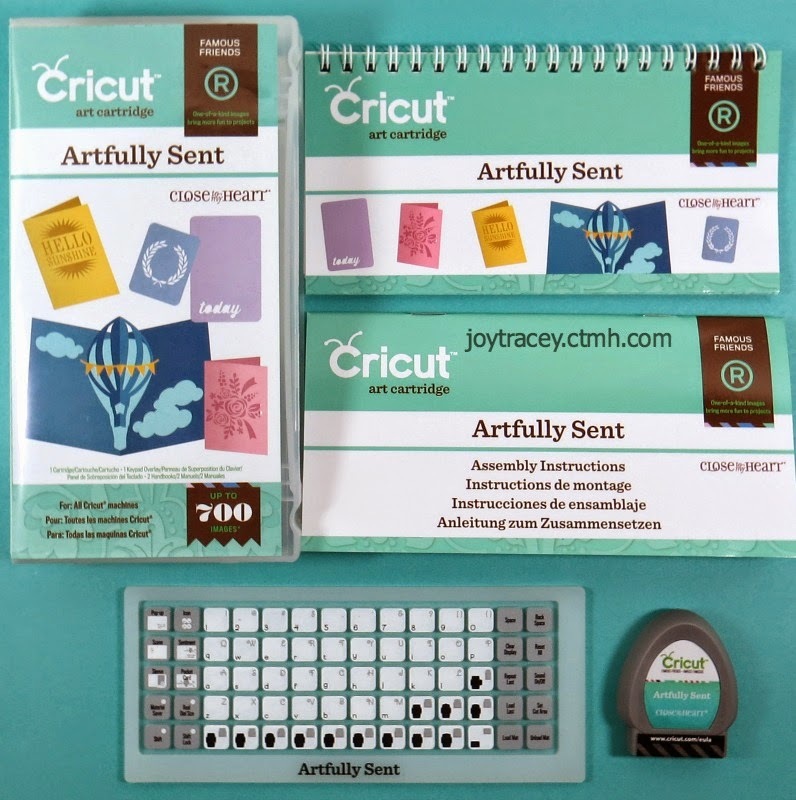 [Video]See the NEW Close to My Heart Artfully Sent Cricut Cartridge - Out of the Box! I just got my Close to My Heart Artfully Sent Cricut cartridge today and I had to make a quick video showing you guys what comes in the package. I am so excited about this new cartridge! I was so excited that I HAD to make the video despite sounding like Peppermint Patty. I've had the flu for over a week now and this is the best my voice has been in that time! Here's the cartridge - note that it has the full size handbook and overlay. Cartridge works with ALL Cricut machines (including the Explore) and will be available on the Gypsy in a few weeks. 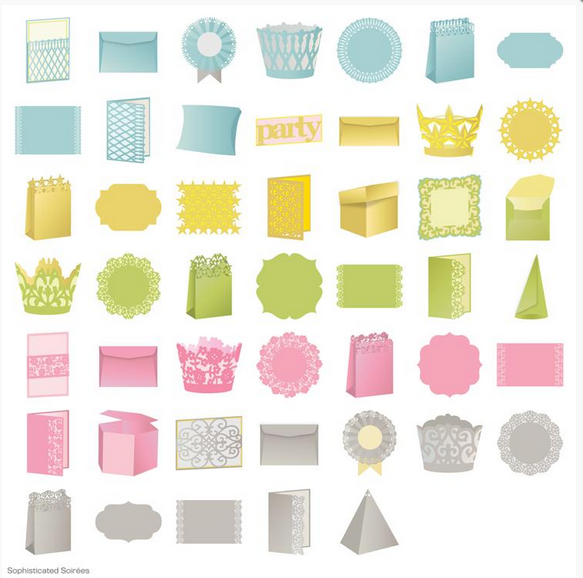 AND a package of 12x12 white cardstock to get creating right away! Got to have the Cartridge? You can purchase it right here at my Close to My Heart shopping page! Want to see the handbook photos? Check them out here! 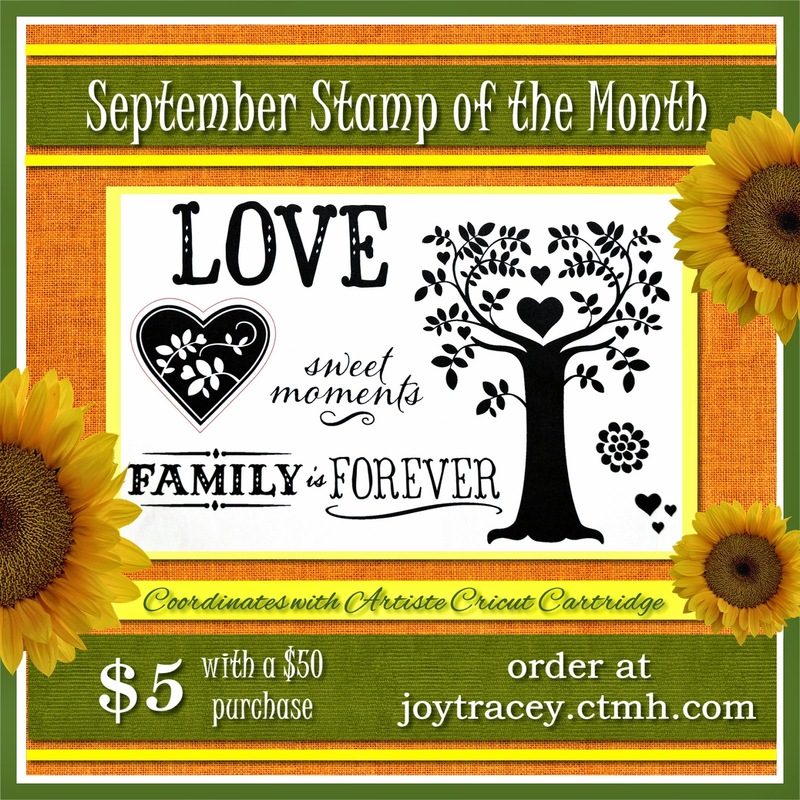 It's National Stamping Month and Close to My Heart has a great promotion! 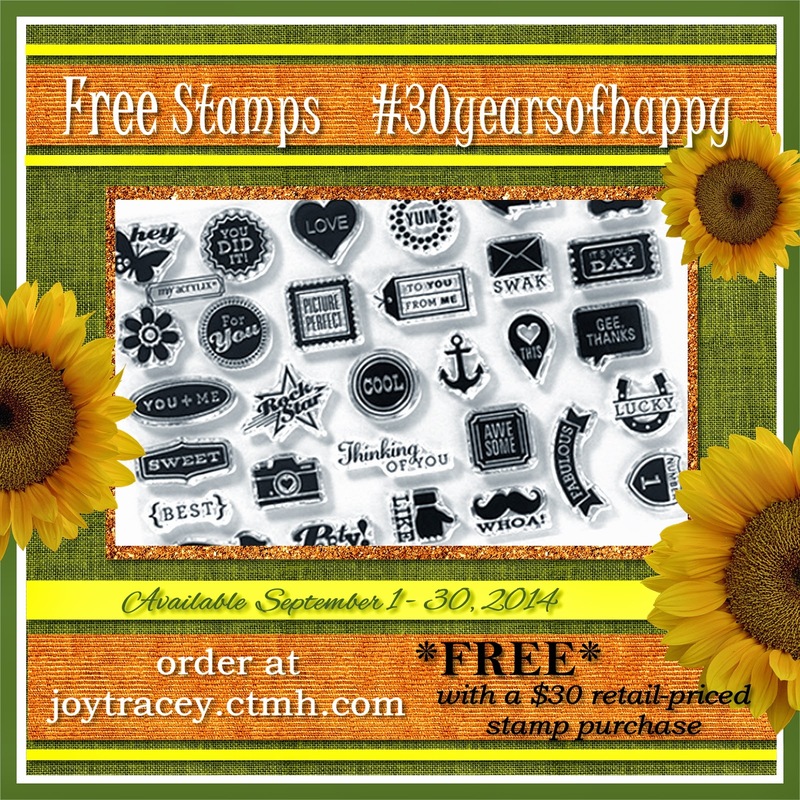 The 30 piece stamp set above is FREE with any stamp purchase of $30 or more (not including the $5 Stamp of the Month)! 1) Leave a comment below - Have you seen this cartridge before? It is outstanding! Winner will be announced on September 21, 2014 and has two weeks to claim prize. U.S. Residents only, please, over 18. Void where prohibited. I think this looks like a great new cartridge. Glad it finally out. Hope you feel better soon. Joy I hope you feel better real soon! Try to rest if you can. And thank you for showing us the new cartridge, that is so nice of you. Looks like a really good one. I am saving up and can hopefully get soon. Thanks again! Have a great day! Wonderful. Hope you get to feeling better soon. Not seen the cartridge in the giveaway. Thanks for posting all the info. on this cartridge. It looks like a wonderful cart. How does this cart work with the Explore? 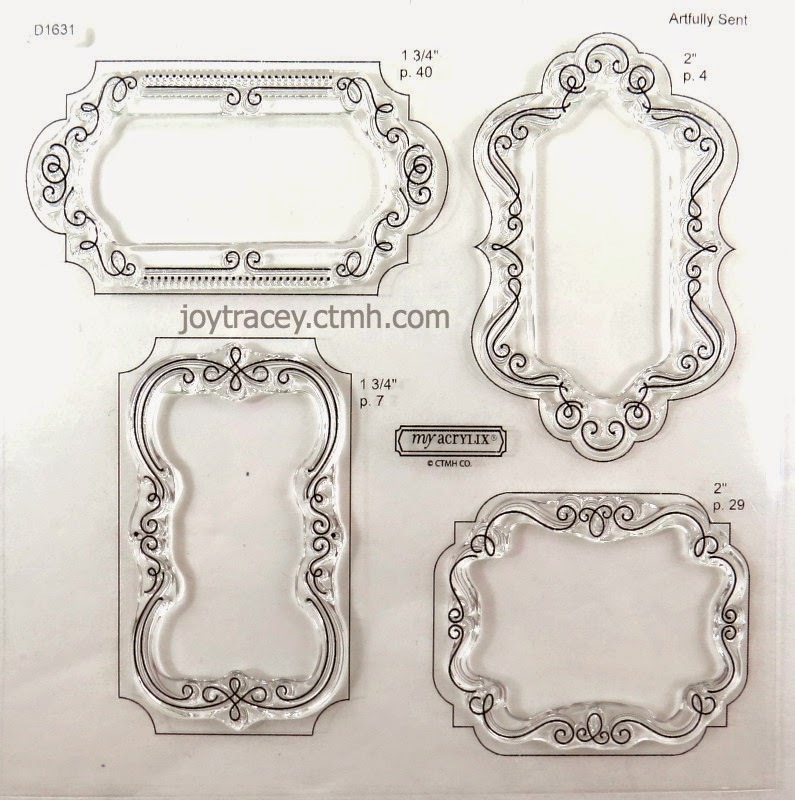 If there are coordinating pieces, do we have to import "numbers" like the ones Narelle and others did for the first 3 carts, or will everything import together? No I haven't seen this cartridge before. Great cartridge! Very inspiring ! Thanks for sharing! love the swirls and flourishes on this cart! I haven't seen this cartridge before and thanks for the chance to win!!! Feel better soon! The flu is no fun! Thanks for sharing your time and showing us the new cartridge and all that comes with it. I haven't seen this cartridge up close yet--thank you! I look forward to your videos using it, once you're all healed up! 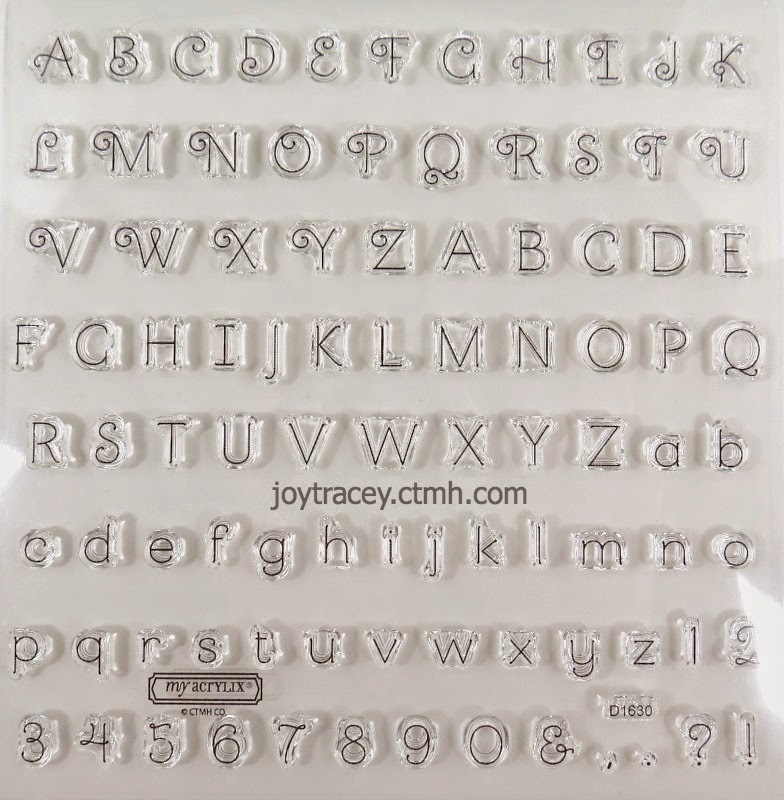 Hi Joy, You have lots of new items! Wow! Hope you will feel better soon. Can't wait to see the projects you'll make for us. Thanks for the chance to win. I am anxiously waiting for my cartridge to come! I love your blog and seeing all your creations and instructions for them! You are very talented! Off to watch the video now. Thanks again! I am part of your downline and did order this already. Always have enjoyed you but feel better soon! Joy, I sure hope you're feeling 100% better really soon! I am one of your downline, also, and my cartridge is on it's way. I'm so excited and I can't wait! Goodness...you sound like a "cricket" (pun intended). Be well soon and thanks for sharing the video. So many fun possibilities. whoop whooo!!! I got mine today to. FedEx was really late. So my video will be up later. Thanks for the opportunity to win the awesome cartridge. Can't wait to get mine. It looks great. I would love to get this cartridge! Love seeing all the cards that you make! It looks like another great cartridge! Cannot wait to see what you create with it, :). Thanks for the chance to win this cartridge Joy! Thanks for showcasing the Artfully Sent cartridge - so fun to see what it can do before mine arrives. I'd love to win your giveaway this month! Thanks for the opportunity. I have seen this cartridge just recently - looks super fun! I haven't seen this cartridge before, it looks great. Hope you are feeling better. I am glad to see you are up and at it. Thanks for the video and showing this amazing cartridge. I have ordered mine. Can't wait to play. No, I haven't seen this cartridge, but it looks like a great one! Thanks for the giveaway, as usual, I've got my fingers crossed! Thanks for sharing the video on Artfully Sent cartridge. I am seriously studying it! I could have so much fun with it! Hope you get better soon! Hi Joy - thanks for the video about Artfully Sent - such dedication. I really like that CTMH cartridge and am just trying to convince myself why I should buy it! ;-) Thanks also for the chance to win the Soiree cartridge. Hope you feel better soon!! I have seen it and I'm excited to get one! Thanks for the video it really helped me to make the decision to put this one at the top of my wishlist. Now that’s what I’m talkin’ about! I really like the Sophisticated Soiree cartridge! I really need to get my hands on some of this one. THe PosiBiLiTiEs are ENDLESS! !..and the gift giving ideas?... Yah…I am totally excited about that! Thank you for the chance to win! !!! ! Oh Boy, I hate to say this but you sound bad. But that is bad as in bad sick. I don't know how you can keep up on your video's feeling so bad. I love this new CTMH Cricut Cartridge. I only have the Artiste that I had won from another consultant in a blog hop. But I love it. I have been subscribe to your blog since the beginning. I use to get all my coupons from you before they let you use your phone to use for coupons. Thanks for all these years :) I sure hope you get to feeling better. What an unusual card. This can be jazzed up with Christmas trimmings and be perfect! I love Artfully Sent, and can't wait to get it! I hope you feel better soon! Thank you so much for the chance to win your giveaway! I have seen the cartridge and it looks awesome! Would love to win it! Thanks for the chance! Ive been waiting for this cartridge and was happy to know it was out. Thank you so much for showing us even when you are feeling lousy. Winning it would bee wonderful! I have never heard of this cartridge. You always keep me up to date on what is out there. Thank you for sharing your talent and for the opportunity to win.